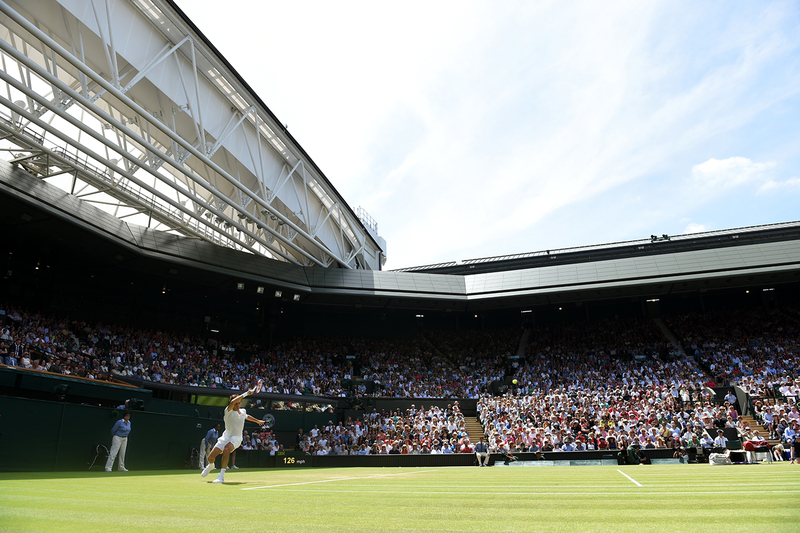 If it is so dark that Hawkeye stops working, then matches should be called off at Wimbledon, Roger Federer said on Saturday. For the second year running, Tomas Berdych found himself playing into the night at Wimbledon even though technology had given up the ghost. At least on this occasion, the Czech sixth seed won his first round match which concluded at 9.29pm on Tuesday even though barely anyone on Court One could see the yellow ball as it flew back and forth over the net. Twelve months ago, Berdych was left fuming after he slumped to a third round defeat by Marin Cilic that finished at 9.38pm local time - the latest finish at the All England Club outside of Centre Court. 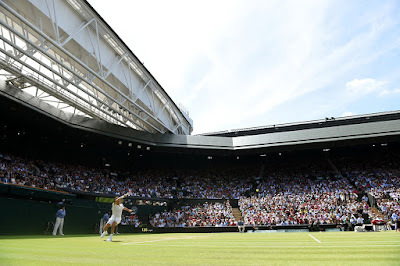 When Hawkeye was first introduced in tennis, with the technology making its Wimbledon debut in 2007, Federer was not a fan and during that year's final, he questioned its accuracy. At one point during the win over Rafa Nadal, he stormed up to the umpire demanding: "Can you switch it off, it was definitely out. "How in the world was that ball in? It's killing me today." Eight years on and Federer still has concerns about the technology that is used at all the grand slams except the French Open. "What I struggle with is I don't think it's 100 percent accurate. Let's say 99 percent, fine. It's still not 100 percent, in my opinion. I still see calls I don't quite understand," the Swiss said after reaching the second week of Wimbledon for the 12th time in 13 years. "But it's fine to have it... because you... don't want to lose at Wimbledon because of one bad call or a missed call by someone. "What I don't understand is if we have Hawkeye, why do we keep playing in the nighttime when Hawkeye is not available anymore? That's where I disagree with supervisors or tournaments, that they push it too far every single time. "We've seen it happen every single night in the last few days when I've been watching tennis... Hawkeye is not available, but the players keep playing. That's exactly maybe when it comes to the crunch, you need it, in my opinion. "I just think play should stop when Hawkeye is not available anymore."